Kris Cox provides advice and representation to the construction industry, serving owners, public entities, contractors, and designers in all aspects of public and private construction, from initial planning, drafting of contracting documents, assisting in and litigation of the bid and award process, assisting with project execution and planning for disputes, and representation in litigation and dispute resolution. Kris has extensive experience litigating and resolving disputes, guiding clients through complex and difficult projects, and representing owners and contractors involved in disputes arising from the construction of hospitals, light rail projects, schools, dams, jails, roadway construction and paving, and residential and commercial property. 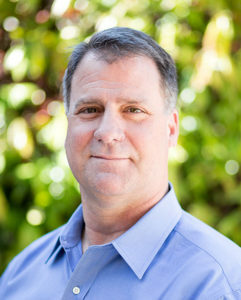 With over 26 years of experience in a wide variety of construction projects and disputes, Kris brings knowledge of the construction industry, complex projects, construction disputes and claims, and the realities of construction to achieve his clients’ goals, resolve disputes, and provide principled, creative, smart, and forthright advocacy for his clients. Represented the City and provided advice to the General Counsel and the Utilities Engineering Department to complete several emergency water facilities improvement projects and resolve performance and contract claims issues with the prime contractor. Advised and represented the San Francisco Airport Commission in all aspects of a program involving over $2.9 billion in new construction of terminals, light rail, roadways, garages, and supporting facilities, including advice and consultation to the Airport, and served as primary day-to-day legal counsel for program staff and contract management teams. Assisted in representation of Alameda County during the construction of the New Critical Care Building at Highland Hospital and the renovation and refitting of the Hospital’s steam generation facility. Provided day-to-day advice and coordination with County staff and construction managers, involving management and correction of project controls, expert investigations into non-conforming conditions, evaluation and investigation of claims of delay, disruption and loss of productivity, and litigation of disputes on behalf of the County in State and Federal Courts. Lead litigation attorney representing San Francisco International Airport in Federal District Court involving claims arising from a train accident during testing of a light rail system, and also including claims of late completion of the work, changed conditions claims by the contractor, and a coverage dispute with the insurer for the project. Advised and represented the City’s Water Department and SFPUC on major construction projects, contract claims, and bid protests, including day-to-day consultation with Water Department staff, presentations before the Commission, development of contract documents, litigation representation, and creating and presenting educational seminars to Water Department engineering staff. Assisted in representation of City in litigation against design professionals after significant cost growth in a project to replace an earthen embankment dam. Prepared complete standard front-end construction project and bidding documents for use by City College for major construction projects. Represented and advised the City and County of San Francisco and its Department of Public Works in disputes with the City’s construction manager and contractors arising from the design and construction of a jail facility involving delay, loss of productivity, and breach of contract claims brought by prime contractor, and prosecution of defective construction and late completion claims against contractors. Acted as sole trial counsel for City defending claims brought by construction manager for breach of contract, which resulted in a bench trial and a defense verdict in favor of City. Participated in multi-firm legal team representing a joint venture of two construction and engineering companies acting as prime contractor in complex, multi-forum disputes arising out of the design and construction of a 18 mile toll road developed under a Public-Private Partnership between public entities and private developers and investors.